To apply and retain a CDL in Miami or South Florida, drivers must pass the required DOT physical exam mandated by the Department of Transportation. 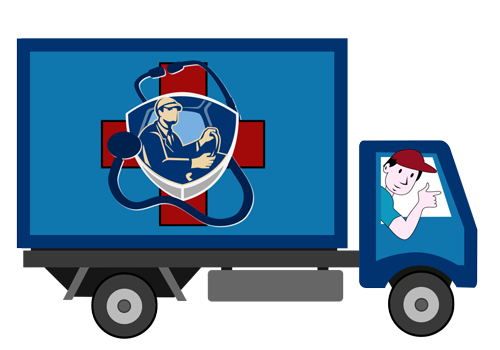 After passing the required physical exam provided in one of our many convenient Miami locations, drivers receive a CDL medical card as proof that they are medically able to operate a commercial vehicle. Anyone operating a commercial vehicle over 10,000 pounds, transporting hazardous material or transporting 9 to 15 people must have a current medical card. The DOT also requires individuals who transport over 15 people without pay to pass the DOT medical card exam. The Department of Transportation implemented the DOT physical exam to establish the physical abilities of specific drivers. Some of the medical conditions that can keep people from obtaining a CDL medical card include diabetes, heart problems, vascular disease, Rheumatic conditions, arthritis, reduced respiratory function, muscular degenerative diseases and orthopedic problems. A medical history must be free of epilepsy and clinical drug/alcohol abuse. Sometimes, drivers can pass a DOT medical card exam if a medical condition remains controlled by medication. Our Miami based professional provide the DOT physical exam which attempts to eliminate commercial drivers impaired by a physical condition from driving on the national highways. It decreases the likelihood of an accident caused by a poor health condition. Medical personnel issue unrestricted CDL medical cards for two years. Drivers may obtain a one-time temporary three-month card in order to resolve a medical issue. Medical conditions controlled by medication may receive a one-year card. The DOT medical card exam can detect health issues early and eradicate or control them. Feel free to call us today or any time to come in for a quick painless checkup and get your medical exam card fast!